Is your depression chemical or due to circumstances? 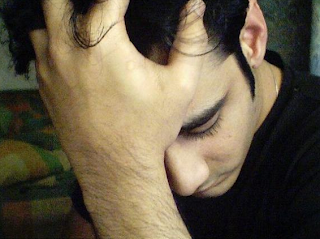 Almost 15 million Americans will experience some form of depression this year. Women will have depressive symptoms almost three times more than men. Many people go untreated. A portion of those who seek medial attention wind up on medications that don't seem to help. Others, however, find medications are the answer to living a more normal life. I've been analyzing my own depression and right now I'm looking into fighting depression without medication. I have to start off by saying I'm not a medical or psychiatric professional. I am a consumer - which means I am under a treatment plan. My diagnosis is Bipolar Disorder, Anxiety Disorder and I'm ADD/ADHD. My moods are like a roller coaster. It is hard to tell if my hyper moods are part of my Bipolar condition or the ADD/ADHD - which can produce periods of hyper-focus, where time is no longer important and sleep is avoided - because I have something I MUST DO. Since about 2004, I have been on and off various anti-depressants and medication cocktails for Bipolar Disorder. Some of the drugs made me very tired and useless, others made me pass out. Before I was diagnosed with Bipolar Disorder, a general practitioner prescribed a powerful anti-depressant. This turned out to be a very bad move, since she was only treating my depression. It took my manic episodes to new heights and I nearly destroyed my life. It cost me a fortune in runaway spending, bad investments and excesses - which all seemed perfectly normal to me at the time. I was so far out in the sky, I thought I was invincible. A very bad state of mind to achieve. Recently, I had a period of about six weeks where I ran out of my Bipolar medications and my anti-depressant because I couldn't afford them. I didn't notice any change. Even on the medication, I still have very deep depressive moods, bouts of crying, feelings of hopelessness, periods of excessive sleeping and/or complete lethargy. In 2010, I was institutionalized for three weeks. I came out of the hospital worse off than when I went in. But I supposedly had the "right" combination of medications to take me forward. After leaving the hospital, I spent five months sitting in a chair, watching TV. I did nothing. I went nowhere. I ate. I slept a lot. I took my meds every day. I didn't start to get out of the emotional basement until I started regularly attending Recovery International meetings. There, I began learning techniques to help me get through my anxiety and tools to help me break free of some of the depression. What really became a life saver for me was this blog. Writing is a passion of mine. When I sat at my laptop and wrote, I was at peace. I felt like I was being productive. I was doing something that mattered. I've kept a log of my depressive episodes and they are all related to situational circumstances. Some event, encounter, frustration, or feelings triggered by things on television or in the news would bring me down. After I had spent hours in a deep hole, I'd force myself to get out to a place with FREE WiFi and start writing. Within minutes, I was fine. Now, there are people who have wonderful lives; they have a good job, wonderful kids, a nice home, money in the bank and many of the creature comforts of success. On the surface there seems to be no reason for them to have depression, but they do. In cases like this, I'd suggest seeking professional advice and potentially a medication treatment plan. If no cause can be seen for the depression, it may be a chemical imbalance and this is where pharmaceutical alternatives work the best. Although, before you run off to the psychiatrists office, let me suggest a few things to try. Examine your diet. What are you eating? Are you eating a healthy diet or are you loading up on junk, sugar, chemicals, etc.? These can have an adverse effect on your mood. Do you drink or do drugs? These are temporary fixes and fall under the category of "self-medication." The downside is that they tend to make depression worse, after the effects of the self-help "medication" wears off. Exercise. Are you getting any? And are you getting enough? Exercise releases endorphins into the brain and they have a very positive effect on the body. Walking every day is enough to make a difference - relieving stress, getting oxygen into your lungs, and releasing those endorphins. Social activities. People who suffer from depression tend to isolate themselves, which can actually take you farther down. Get out. Meet people. Join a club. Join a group. Get involved in a sport. Having people to talk to, joke with, and engage in great conversation can pull you out of a depressed mood very quickly. Hobbies. What are you doing with your time? Do you like to read? Hit the library and get a few books. Music? Start working on your collection or organizing your songs on your computer. Creative? Paint, draw, sculpt, make movies, arrange photo albums, write. Being engaged can turn away your blues. Social networks. When I feel isolated, I can't wait to get on Facebook and chat with people who I barely know, but just the casual banter is enough to get me out of the doldrums. Help someone else. Doing good deeds for others takes the focus off of yourself. It can be very rewarding. Volunteer. Help an elderly person in your neighborhood. Today, I helped a guy in AA with no car move some furniture. He was a mess. It took my mind off of me and I worked on getting him calmed down. He was so grateful by the end of the day, we both felt better. I suggest trying a lot of these things before you see a professional, unless you are severely suicidal. Then you need to seek immediate attention. In the medical community, you always hear, "Get a second opinion." Then the new doctor has a different strategy. Which one is right? My question is, "Do you really need the medications in the first place?" By trying some of my suggestions above, you may be able to pull yourself out of depression and not feel the need to seek medications - which all have side effects. None of my suggestions have negative side effects. If they don't work, seek help. Also, know that it is normal to feel depressed when major life changes come your way - death of a loved one, loss of a job, divorce, ending of a relationship, embarrassment, ridicule, getting bad news, moving. Feeling down is common and should not be construed as a reason to break the glass and get into a psychiatrists office. If you have tried all of the things above and still have no relief, then you need to seek help. If your symptoms last for long periods of time and start to interfere with your work, your life, your family, your relationships, then you should seek professional help. For my personal situation, I'm getting to believe more and more that the medications are useless and that the depression I have is based on external events that come in and disrupt my life. Once I have figured out how to deal with the event, cope with its effects and change my thinking about the event, I'm usually fine. If that doesn't work, I head to a place with FREE WiFi and write. I'm always at peace when I do that. My goal is to be fighting depression without medication. I'm going to have a long talk with my psychiatrist about doing an experiment for a month or two because I honestly don't see what the medications do. I still have depressive moods, but I've learned ways that I can work my way out of the hole. If I have the power to realize I'm experiencing lowered feelings and then do something about it, why do I need the medications? Maybe you'll come to the same conclusion.